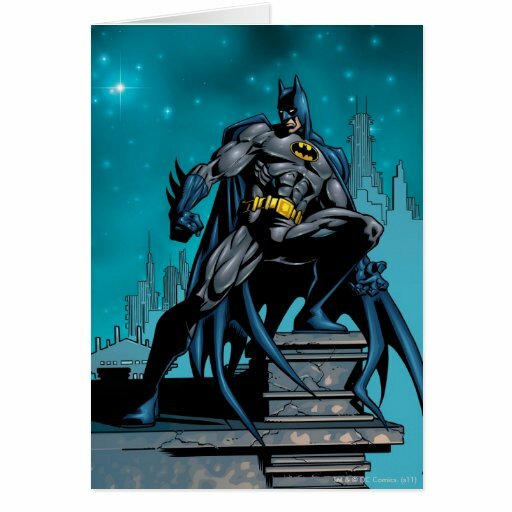 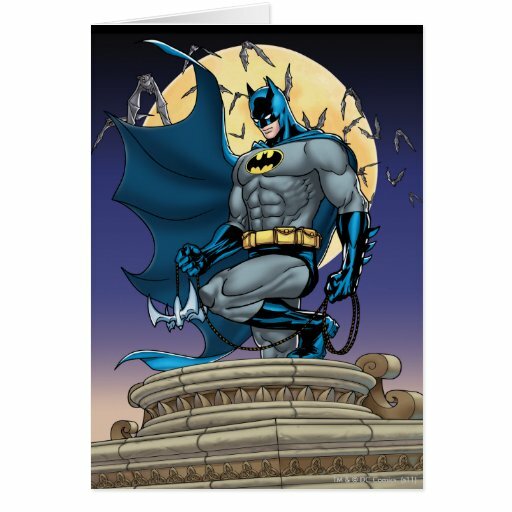 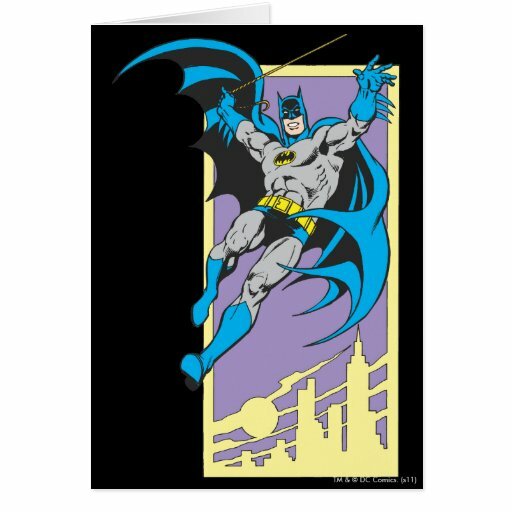 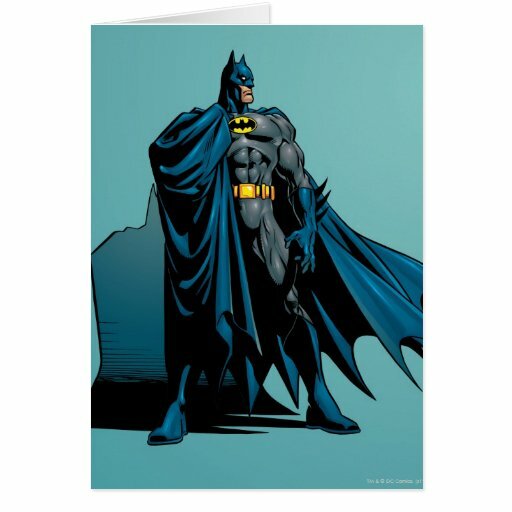 Batman Greeting Cards – A Super Way to Say Happy Birthday! 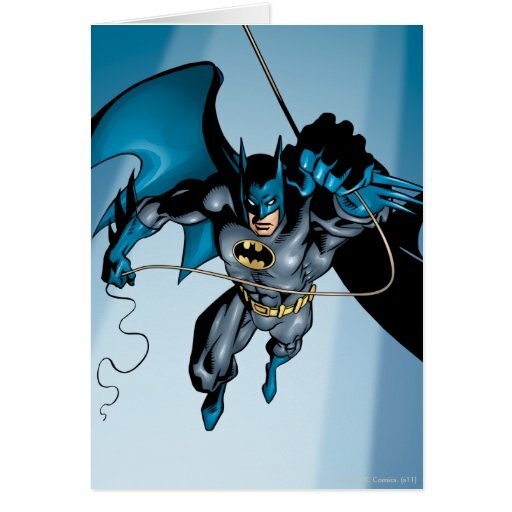 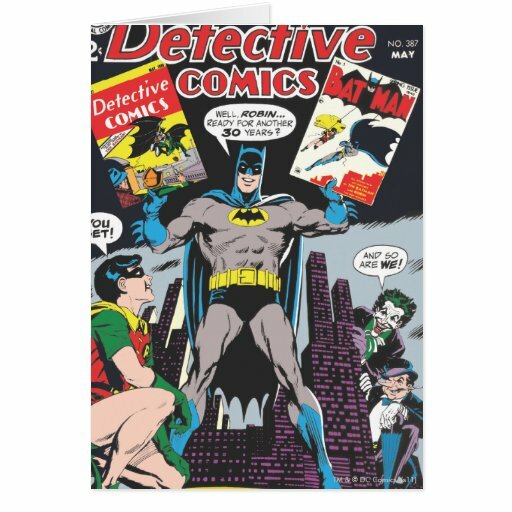 Whether you want to say hello or wish someone a Happy Birthday if they’re a fan of the Caped Crusader then these Batman greeting cards will be well received. 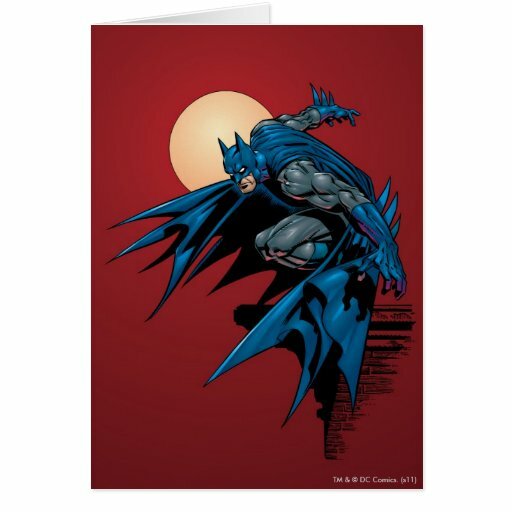 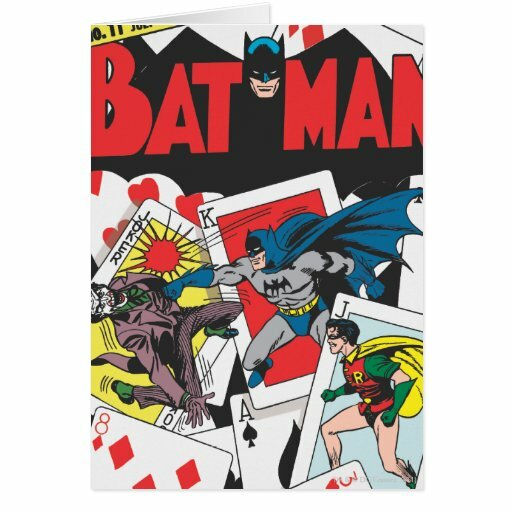 There are lots of different Batman birthday cards available from the Batman logo to Batman in action by himself or with his trusty sidekick Robin or even pictured with some of the biggest Batman villains. 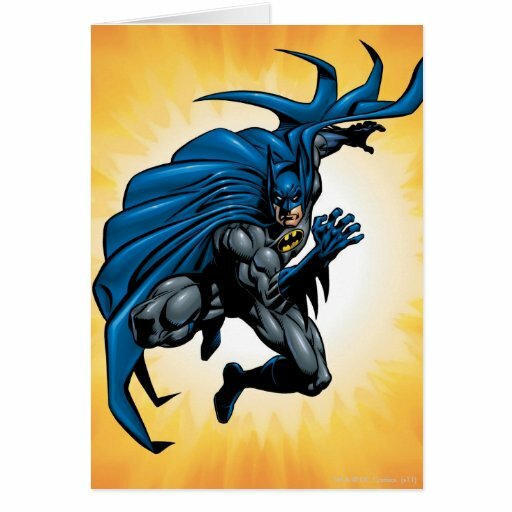 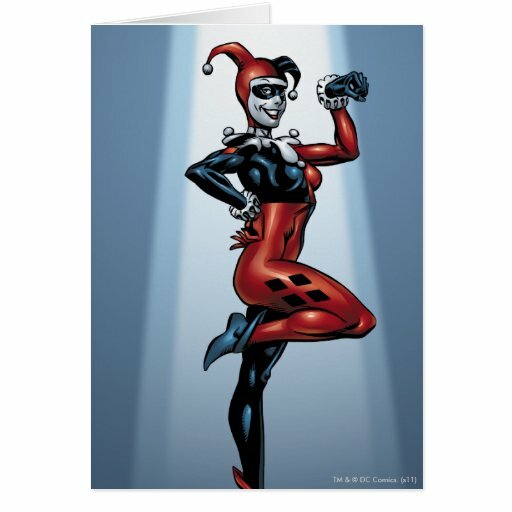 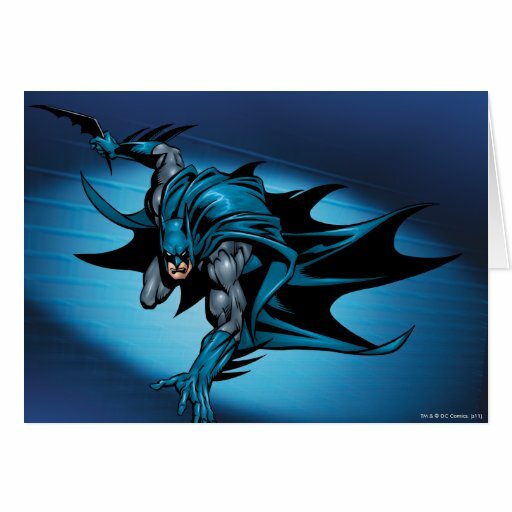 Let’s have a look at what Batman greeting cards you can purchase online today. 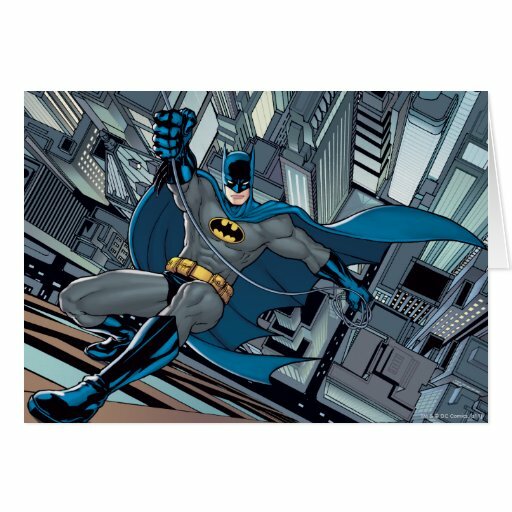 Personally I love the classic Batman with the ‘Pow’ & ‘Sock’ and the theme music ….’na na na na na Batman!’ – forget about Val Kilmer, Michael Keaton or Christian Bale to me Batman will always be Adam West! 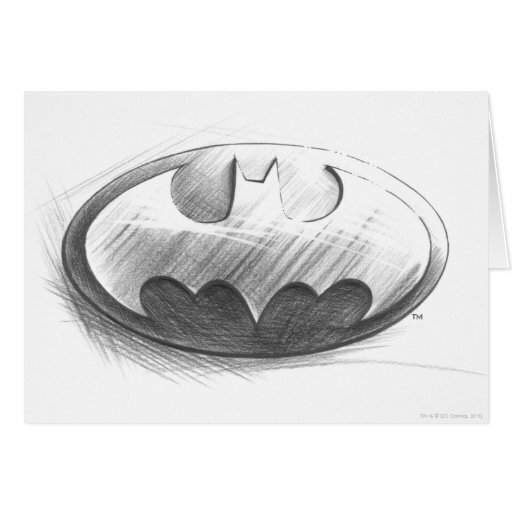 Instantly Recognizable for Fans & Non-Fans Alike – The Bat Logo! 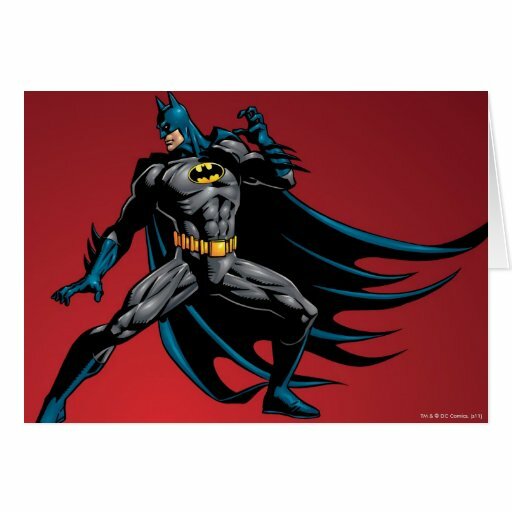 There’s no mistaking who’s logo this is, it’s the caped crusader, the Gotham City hero, Batman himself! 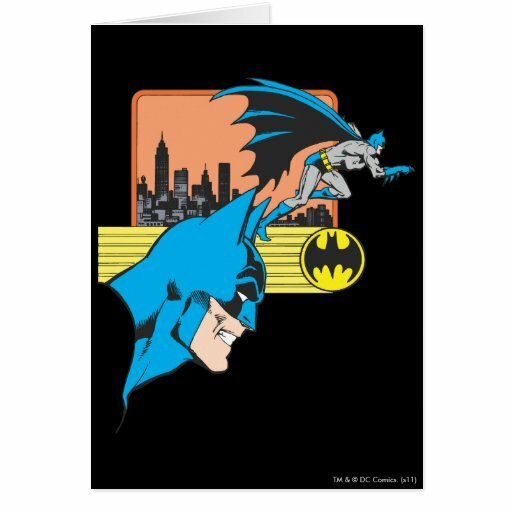 I’m not sure if there’s a logo as instantly recognizable across such a wide range of generations as the Bat symbol – it can be found on a range of products from the birthday cards above to belt buckles, t-shirts and more. 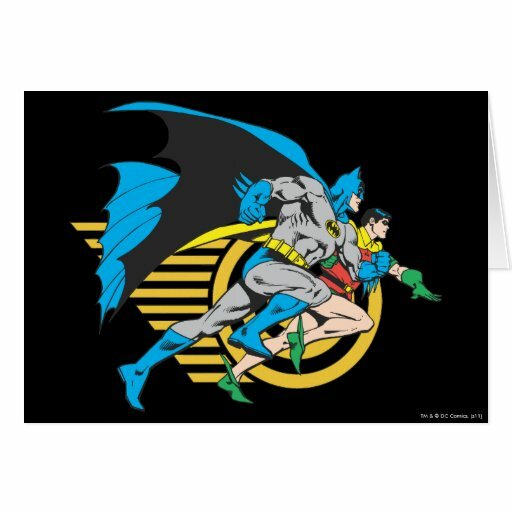 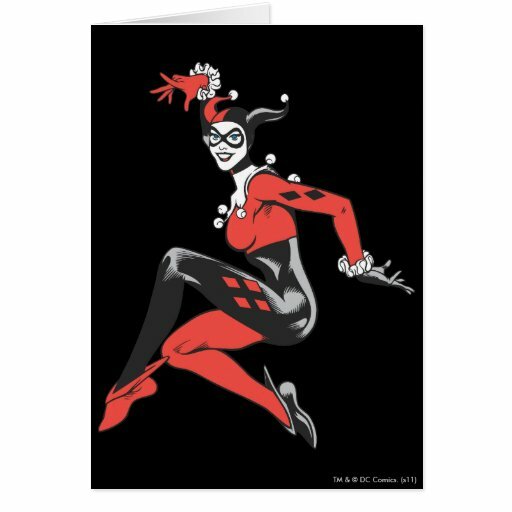 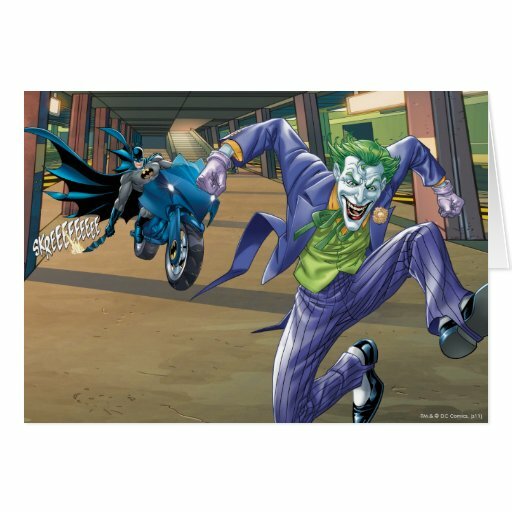 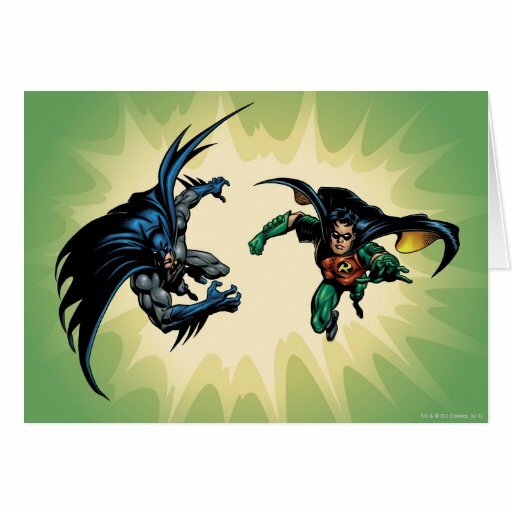 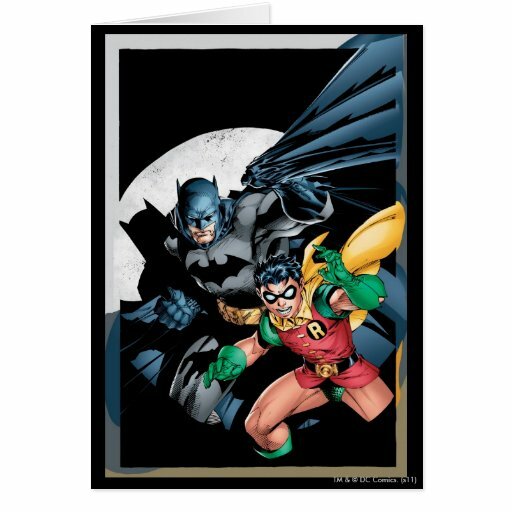 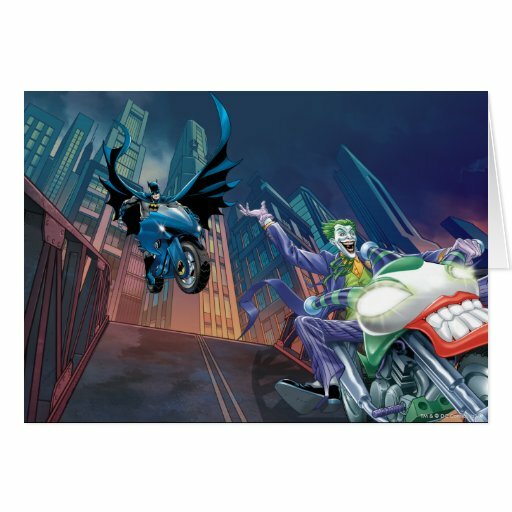 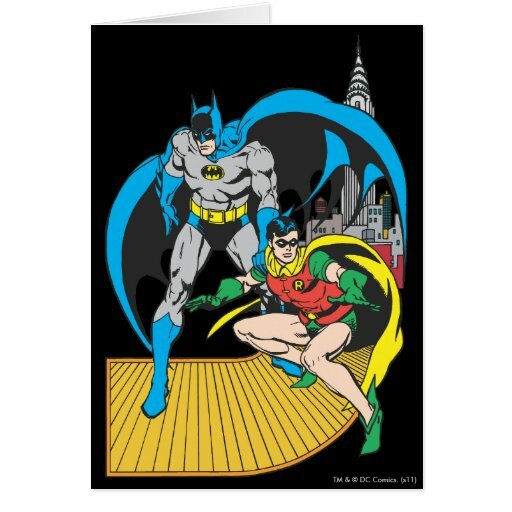 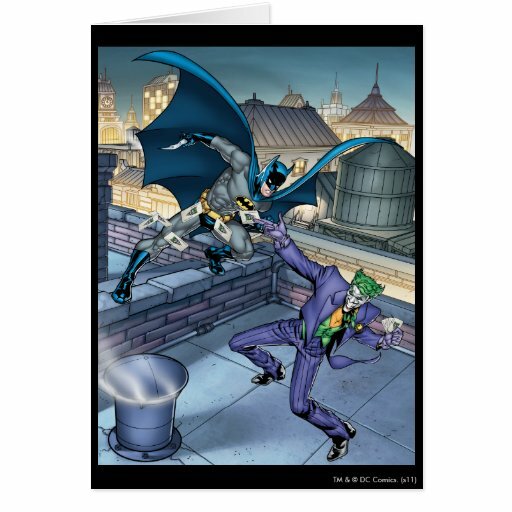 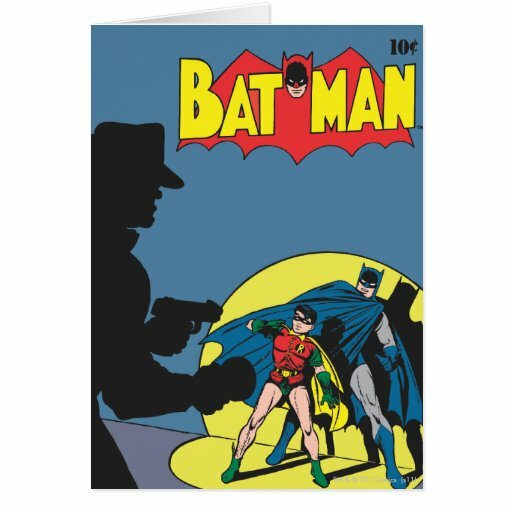 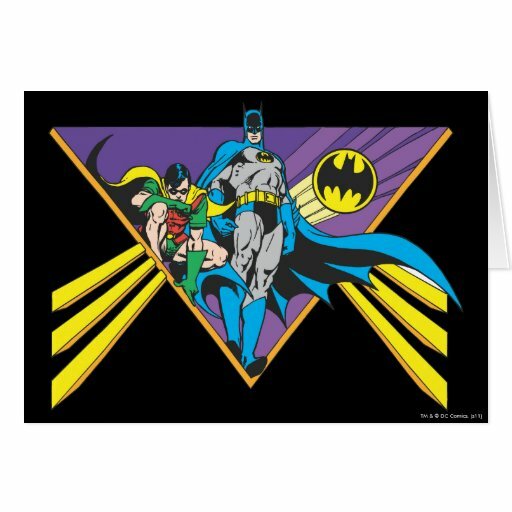 These great greeting cards show the Dynamic Duo in action together against the forces of evil who are out to hurt the residents of their beloved Gotham City – these two will stop at nothing to see justice done. 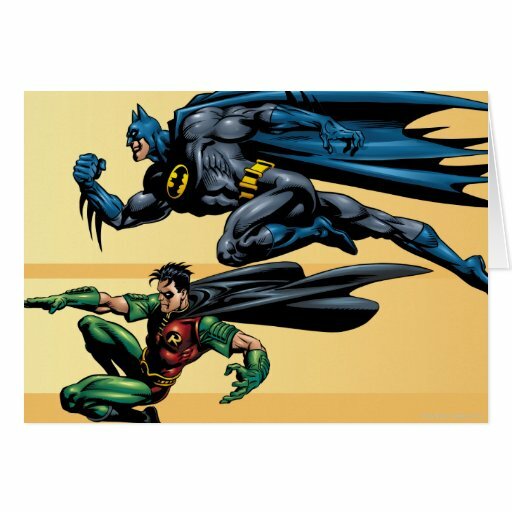 I really don’t think that Batman would be half as good without Robin along side him, let’s face it all the best superheroes need a great sidekick! 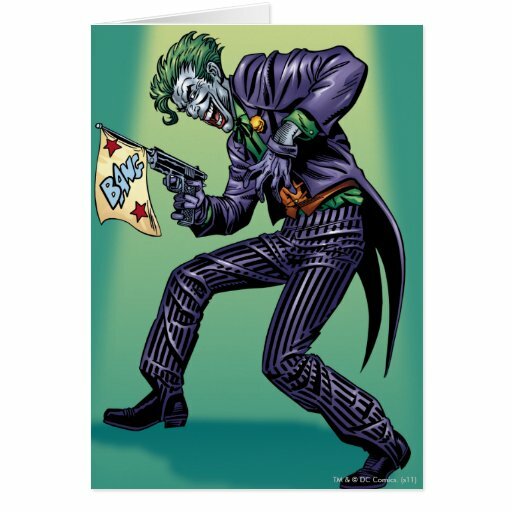 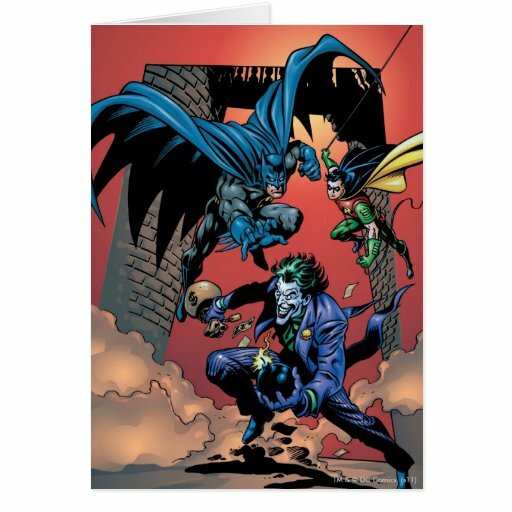 Without villains to fight we wouldn’t need a Caped Crusader like Batman so let’s look at some Batman Greeting Cards that celebrate the likes of the Joker and Riddler as well…. 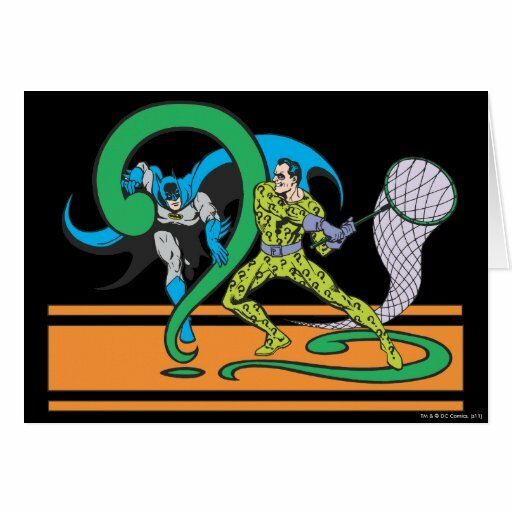 When I was a child I used to love the Riddler as I have always enjoyed riddles and games – I especially loved the question mark shaped cane he used to have – do you remember that? 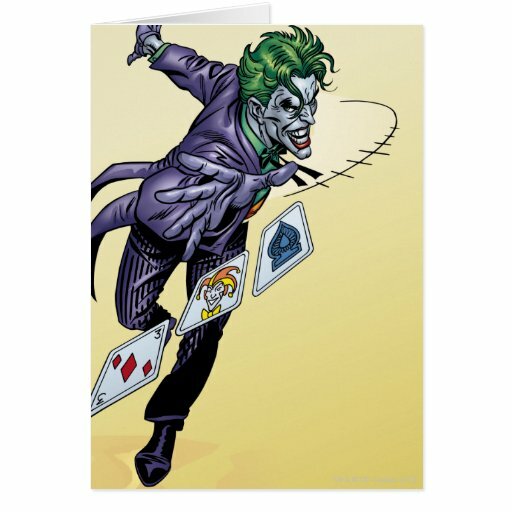 I haven’t come across a card with it on, but I’m positive he used to have one. 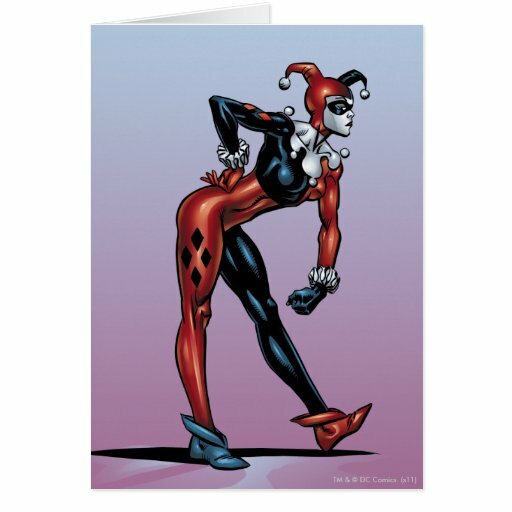 A-ha! 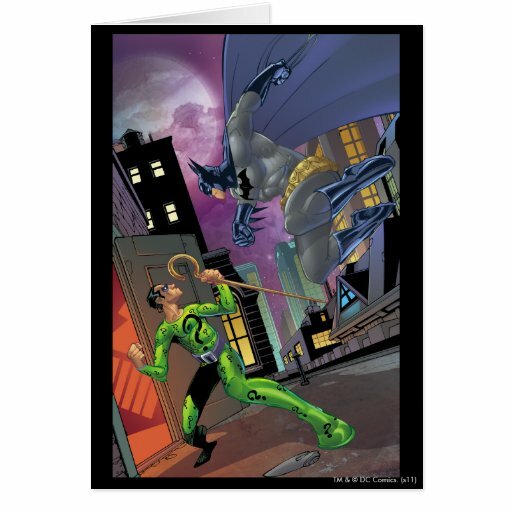 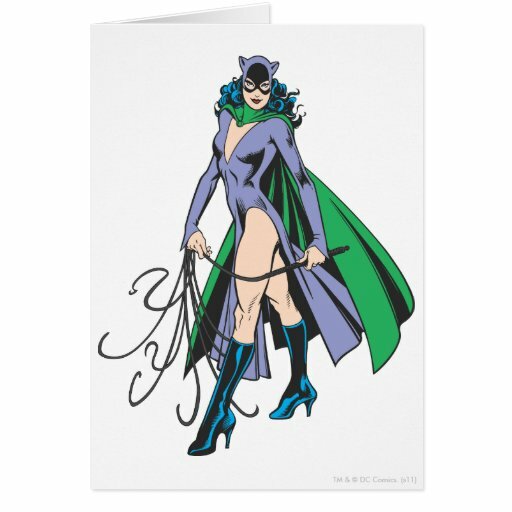 I’ve finally found a card where the Riddler has his cane ……. 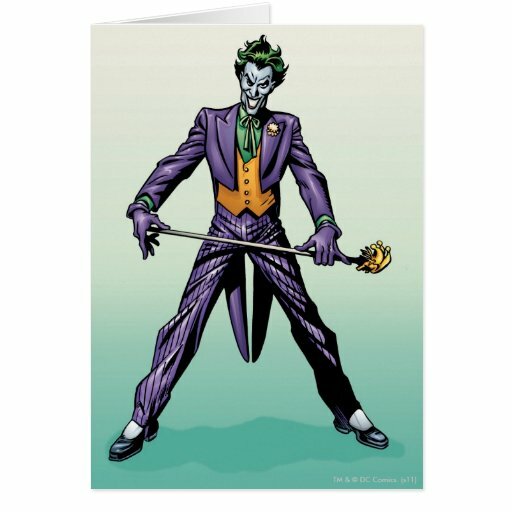 I knew I hadn’t imagined the cane, I really would love to own one some day. 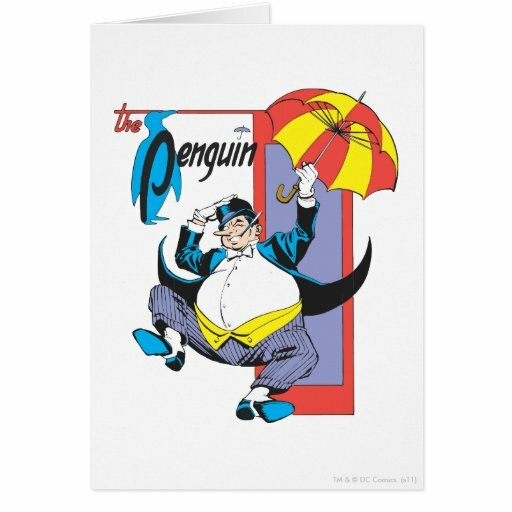 I know that The Penguin was one of the bad guys, but he was a character I did like and I also used to feel sorry for him because he’d been bullied as a child. 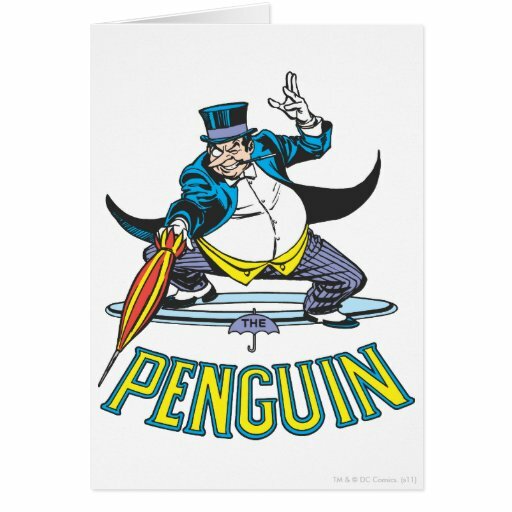 I loved it when he wore a purple top hat as opposed to the usual black one – it just looked cool! 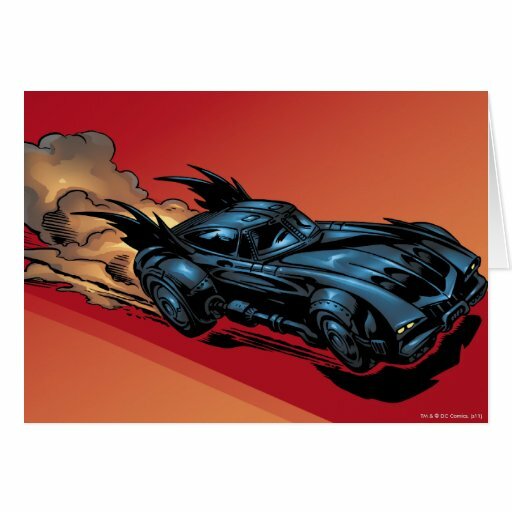 Forget Batman…….. for me it’s always been all about the car! 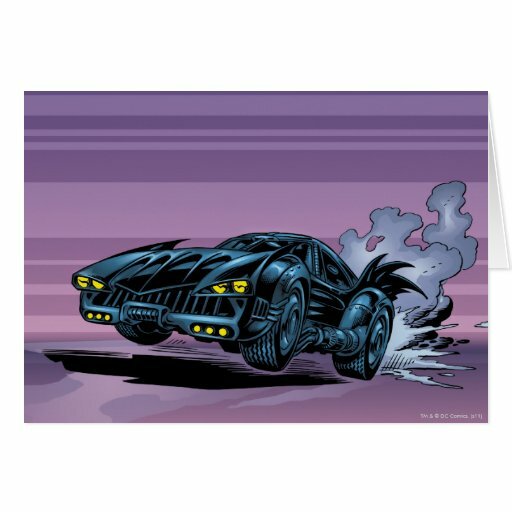 Who wouldn’t want to drive the Batmobile?